DCS Europe are specialist distributors of Health and Beauty products to discount retailers and wholesalers throughout the UK. When they first contacted Redirack, the company had only been established seven years, yet had experienced phenomenal growth. 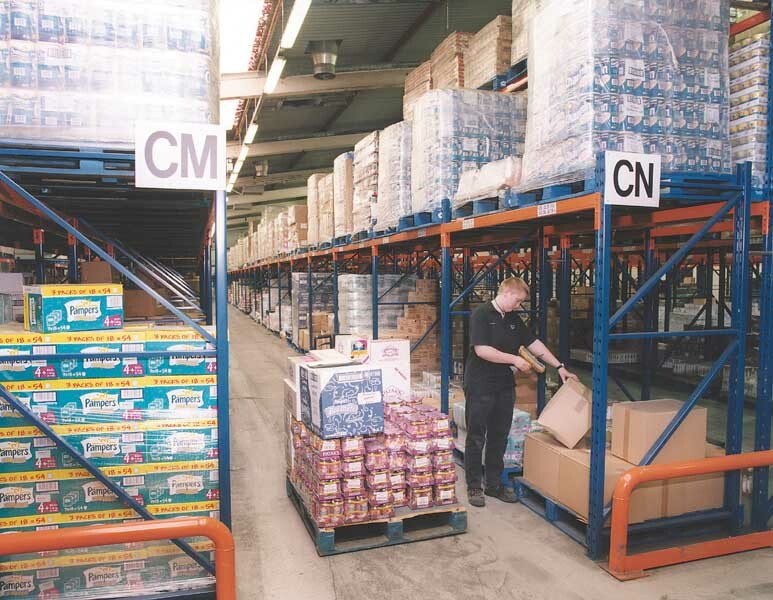 This project was to extend an existing block of Redirack racking, effectively doubling storage capacity to 5,500 pallet spaces. In the next eighteen months, the family owned company continued to expand, increasing its turnover by a further 30% in the process, and outgrowing the site. A site, previously occupied by Stratford Upon Avon Foods, became available and the Directors moved quickly to acquire the premises. We were given the brief to create as much storage as possible, whilst providing a logical product flow through the building. Our design took account of the buildings natural barriers and enabled storage and picking zones to be segregated. Due to the size, we were able to leave a large open floor space for order consolidation and marshalling. The resulting installation has 15,000 pallet locations, although 7,000 of these are in an adjacent building, which is currently let out to a transport company. 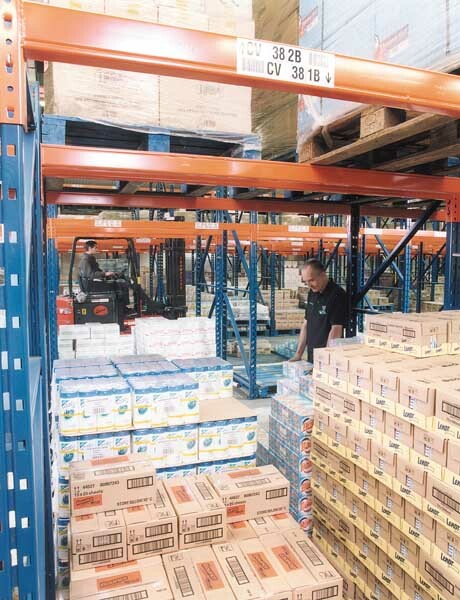 Due to the building’s height, the majority of the runs of racking have only one or two beam levels, with bottom pallets stored on the floor. Only at the building’s apexes is four high storage possible. 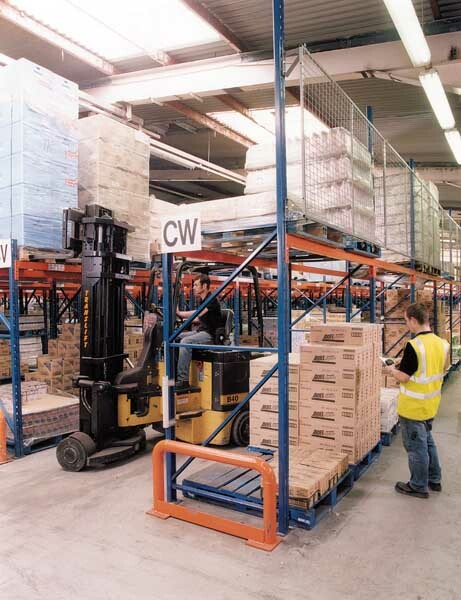 Standard 1,000mm x 1,200mm pallets are used with three pallets being stored at each bay level. The racking is serviced by Bendi fork lift trucks and our sacrificial legs have been fitted in the most vulnerable positions. This unique accessory enables pallet racking frames to be repaired quickly and easily. In areas where the racking backs on to pedestrian walkways, anti collapse fencing is fitted to prevent pallets from being pushed off the back of the racks. 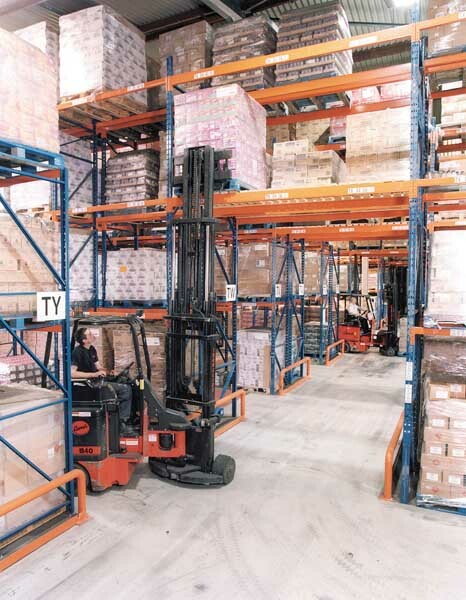 “The Redirack layout gives us the combination of racked areas and open spaces we require to run our multi-functional business to the optimum. Product flow is excellent with all goods ending in the same place – a bit like a funnel really.” Nigel concludes.